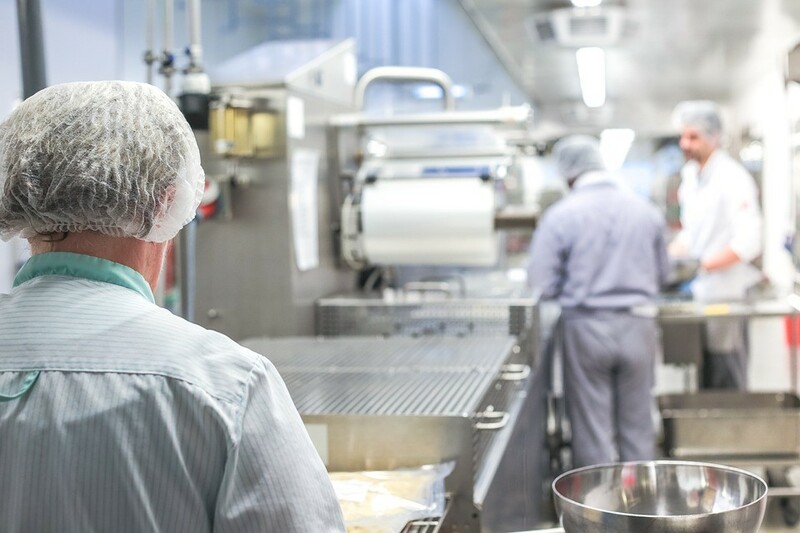 Food grade lubricants are products used to protect food and beverage processing machinery that is at risk of wear due to metal-to- metal contact. These lubricants must meet safety standards specific to their application; for example, if the lubricant could come into contact with food, it must be made with a base stock and additives that are safe for incidental food contact. Food grade lubricants are not cooking products and are not edible oils as are used in baked goods, salad dressings, and the like. Rather, they are lubricants used in industrial food and beverage processing applications. The ingredients in food grade lubricants must be classified as NSF HX-1, meaning they are suitable for inclusion in a lubricant designed for incidental food contact. NSF H1 - These lubricants are to be used where the possibility of contact with food exists. The concentration of H2 lubricant in food is limited to 10 parts per million (ppm). An example of this type of lubricant is the oil used to lubricate a can seaming machine. NSF H2 - These lubricants can be used near food, but must not come into contact with food. An example of an H2 application is the grease used on the masts of forklift trucks used to load pallets of packaged food into truck trailers. NSF 3H - This category describes products that are used as release agents on equipment which comes into direct contact with edible products. An example of this type of product is an oil used to coat the pans in a bakery producing loaves of bread. H1 lubricants can be based on either white mineral oil or certain synthetic fluids. In either case, the base stocks must be HX-1 certified as suitable for use in a food grade lubricant. Any mineral oil product rated food grade has been approved by the United States Pharmacopeia and The National Formulary (USP-NF). This is a highly refined oil that is clear, odorless, colorless, and tasteless. The additives and thickeners used in combination with white mineral oil are defined under regulation 21 CFR 178.3570, created and monitored by the US Food and Drug Administration (US FDA). These additives make it possible for food grade lubricants to reduce wear of machine components, resist oxidation, prevent corrosion of the machinery, and resist the effects of water and cleaning chemicals. Certain synthetic base fluids can also be used in the formulation of H1 lubricants. While food grade base oils are refined from crude petroleum, synthetic base fluids are synthesized from chemical building blocks. Synthetic food grade lubricants have the same advantages as non-food grade synthetics, namely longer service life (relubrication interval), wider operating temperature range, and better oxidative and thermal stability. However, synthetic lubricants tend to be more expensive that those based on white mineral oils. A cost/benefit analysis should be performed before selecting synthetic food grade lubricants. H2 lubricants are used near food but have no possibility of coming into contact with food. For example, the rollers on a conveyor carrying cases of canned vegetables can likely be lubricated with an H2 approved lubricant as these lubricants will never touch the food. However, there are restrictions on the additives and grease thickeners that can be used in an H2 lubricant. Heavy metals (cadmium, lead, and arsenic, to name only three) cannot be used as additives in H2 lubricants. Food grade lubricants have to tolerate conditions that can contribute to rapid breakdown of the grease or oil and ultimately the machinery. These lubricants must be formulated to function at extreme temperature ranges and in conditions awash in soapy water and spray. An industrial bakery works at high volume by running the ovens for three shifts, 24 hours a day. Some commercial ovens work by moving a series of baking pans through the oven, joined by chains. The bread dough is placed in the pan raw at one end, passes through the oven for a period of time and is removed, freshly baked, from the pan at the other end. These chains of baking pans can run at multiple levels through a large oven, but at the end of the baking run, the pans must be emptied and cleaned. The cleaning process must remove food residue from the pan but must not remove the lubricant from the baking chain. This may require a mechanism to put fresh lubricant on the chain at crucial points. For this to work safely, the lubricant must be food grade so that if there is incidental contact of the lubricant with the food, the food is not contaminated. Industrial food mixers must function under conditions of high load. Individual ingredients must be milled or mixed prior to final blending. This final blending step generally occurs in very large mixing vessels, and the food may offer a high level of resistance against the mixer paddles. Sometimes the mixture thickens, which can cause the resistance against the paddles to increase. This resistance can put a high load on the gearbox connected to the mixing mechanism. The gear lubricant must provide extreme pressure (EP) protection to the gear surfaces and prevent wear on those surfaces. Should this lubricant come in contact with any food product, it is crucial that the food processor uses a lubricant that is safe for incidental food contact. Corrosion of ferrous parts reduces the efficiency and service life of machinery, so a rust inhibitor is a common additive in many H1 and H2 lubricant formulations. Likewise, corrosion of yellow metal (copper alloys) parts must be controlled and prevented to make those parts last as long as possible and perform as designed. As lubricants are exposed to heat, pressure, and moisture, they may begin to break down and form deposits on the mechanism they're supposed to be protecting. These deposits can impede the functioning of the machinery. An additional approved additive may need to be added to the oil blend that will help to prevent the formation of deposits, protecting the long-term life of the machinery. Food grade grease must work under extreme conditions. High or low temperatures, extreme pressure, food dust, atmospheric moisture, direct water spray, and cleaning products can all reduce the ability of grease to provide the intended lubrication. Food grade greases are formulated to adhere to the machinery being lubricated and protect it against the conditions listed. Food grade fluid lubricants are blends of base fluids (white mineral oil or synthetic fluid) and additives to provide the desired performance properties. Food grade greases contain an HX-1 thickener to produce the semi-solid grease consistency. Greases also contain additives to enhance the performance of the finished grease. Fluid lubricants tend to run or drip from equipment, and must be contained to prevent loss of the lubricant. Grease, on the other hand, is formulated to stay in place, even in applications where a fluid product would not. Oils that are circulated can provide the added benefits of heat removal and flushing away of contaminants from the lubricated contact. Greases have the advantage of staying in an application over long relubrication intervals. Grease is an excellent choice in poorly sealed mechanisms or in very wet environments. Greases can be formulated with additives to enhance water resistance, which can help to protect metal components from having to work without a coat of protective lubricant. 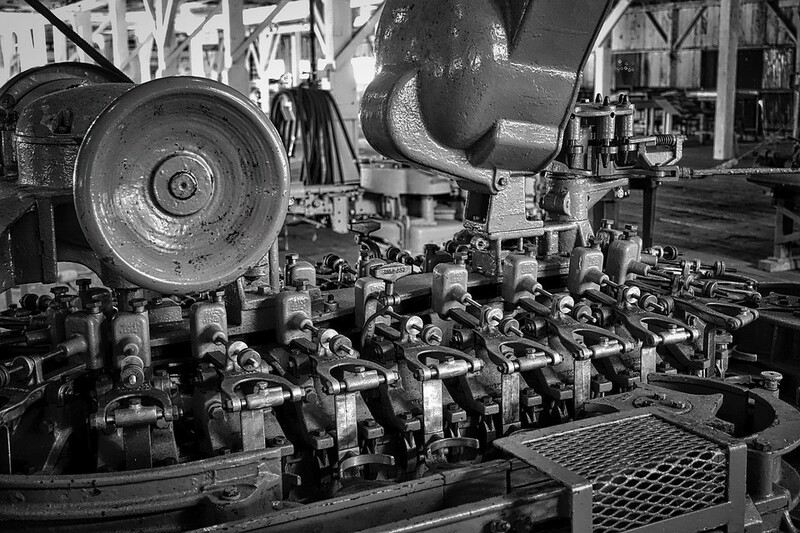 The risk of mechanical failure can be paralyzing and costly to an industrial food producer. In considering the bread oven noted above, an unlubricated chain may suffer excessive wear, which can result in a failure. This failure can cause a pan line to become inoperative and require that the oven be shut down while the failed chain is cleared away. The output of those pans will be lost until the oven can be repaired. When a replacement chain is available, the oven will have to be shut down and cooled so that the line can be restrung. Greases must repel direct sprays of water and cleaning products that are used to ensure that the machine is completely sanitized. Most food grade greases are either translucent to clear or opaque and white. Colored dyes are not allowed in food grade lubricants. In the United States, food processing is under the jurisdiction of the FDA (Food and Drug Administration) and the USDA (United States Department of Agriculture). For lubrication companies that ship product elsewhere in the world, they will need to be in compliance with the food safety laws and regulations of other countries and unions of countries. Makers of food grade lubricants must be aware that the regulations covering lubricants for food and beverage processing applications can and will change, requiring a reformulation or the creation of a new product. In addition, as regulations change, food grade lubricant manufacturers may find that their go-to additive might be suitable for use in the United States but banned in the European Union. Tracking rules and regulations on additives is crucial in order to keep formulations suitable for sale in all areas served by the manufacturer. The process of making food for human consumption is a challenging one, particularly in a world of shifting regulations. 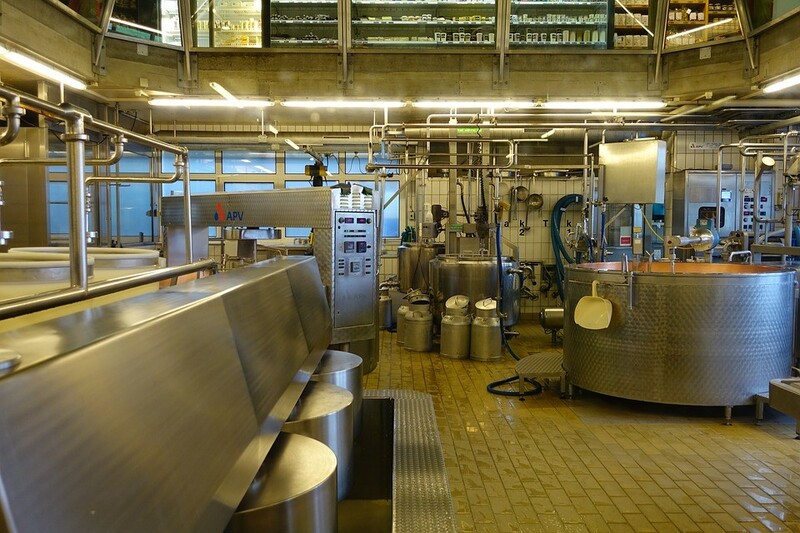 The construction of machines that can mass-produce food requires an eye to proper maintenance, and that maintenance must be performed with lubricants that protect both the equipment and the food supply. The point of food grade lubricants is to protect against something a food manufacturer works to prevent: the introduction of a non-food item, such as non-food grade grease or oil, into the food being processed. Should this type of incident occur, the use of food grade lubricants can protect consumers.